Whether you need to recover debt; or pay debt, Baycorp (NZ) Limited's highly skilled team are here to provide you with comprehensive debt management solutions! With over 50 years of experience providing debt recovery & collection services, we are confident that we can meet all your expectations & needs. We can offer you the most effective products & services for your individual situation. 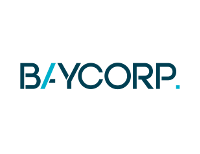 Let Baycorp (NZ) Limited improve your cashflow & profitability without compromising your brand. We'll free up internal resources allowing your business to focus on what it does best! If you would like to talk to one of our friendly team about the: Debt Collection, Debt Purchase, Early Arrears, Legal Services & Field Service solutions that we can offer you, feel free to give us a call today.